Before and after images show the difference in removing make-up and dirt between soap and water versus Nassif MD detox pads. The before pictures shows all the make-up and dirt and the after image shows one side of the face cleaned with soap and water and the other with Nassif detox pads. Dr. Paul Nassif's detox pads remove 108% more make-up and dirt than just soap and water. For those of us who are feeling aged, don’t get enough sleep or are constantly stressed, a good skincare product always helps us look and feel better. But, with so many beauty products on the market, how can a girl even choose. That’s why we were thrilled to find out that our trusted TV doc, plastic surgeon and former Real Housewives of Beverly Hills reality TV star, Dr. Paul Nassif launched a new anti-aging collection, Bio-Clock Dermaceuticals earlier this year. This skincare line is no joke. It fills your pores with love. During an exclusive celebrity interview with CupidsPulse.com, the star of E!’s reality TV show Botched spoke about his new collection and shared details surrounding how his amazing beauty products will cleanse and hydrate your skin just in time for your next date night. You can even check out the famous doctor’s summer beauty tips and learn how these products can cleanse, exfoliate, hydrate, and protect your skin in our product review below. As a facial plastic surgeon, it comes as no surprise that Dr. Nassif looks at skin differently than a dermatologist would. Even when he’s doing a facelift, the reality TV star says he can see the loss of elasticity, collagen, and hydration. That’s why his goal was to have active ingredients in his new beauty products, such as ElastaDermC, a potent form of vitamin C, and retinol which will really make your skin glow. Dr. Nassif’s skincare line features all of the essential ingredients for a proactive summer, such as the gentle cleanser, detox pads, hydro-screen hydrating serum, and night beauty serum. 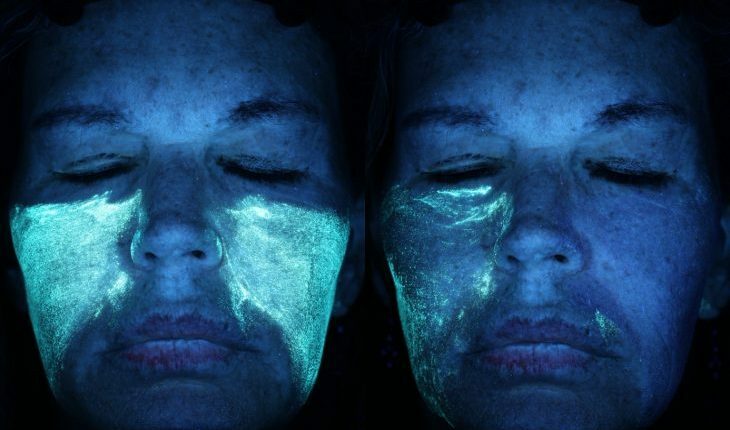 Like the doctor says, these products will “wipe away the signs of aging.” The surgeon explains how to use these products effectively this summer with his beauty tips below. 1. Cleanse. This is especially important during the summer because of the hot and humid weather which leads to sweat that takes longer to evaporate off your skin. The Pure Hydration Gentle Cleanser is gentle enough to remove eye makeup but tough enough to remove pore-clogging debris. Don’t let that humid weather ruin your skin’s glow. 2. Exfoliate. Make sure you exfoliate at the right times. Not only will it help you maintain a fresh fake tan, but gentle facial exfoliation will help create a better canvas for makeup application allowing your skin to wear less on those warm, summer evenings. The Detox Pads in Dr. Nassif’s new anti-aging skincare line are shown to remove 108% more makeup and dirt than soap and water because of ingredients like retinol, glycolic acid, and salicylic acid (see image above). You will love how amazing your skin feels after a 30-second detox session with this age defying product. Remember to exfoliate the morning after a swim in the pool or ocean, not prior. 4. Protect. Your skin is a barrier that protects you from environmental aggressors like pollution, bacteria, and moisture loss. Keeping your skin healthy helps that barrier continue to work properly. Protect your skin with products that contain antioxidants which will help repair damaged skin and prevent free radicals from doing undesirable work. The Day Therapy Energizing Creme and Night Therapy Antioxidant Night Serum will revitalize your skin, increase the effectiveness of your sunscreens, and boost your skin’s defense against UV exposure. Dr. Nassif says these products work for your entire face. These beauty products are proven to reduce dry lines, wrinkles, age spots, sun spots, and discoloration. Many of Nassif’s patients have noticed that their skin returned to its natural tone after using the product line. Don’t believe us? The reality star and doctor uses his own products, and at 54 years old, he looks 10 years younger. Whether you’re getting ready for your next date night or just keeping up with the latest beauty tricks, Dr. Nassif’s anti-aging beauty products have you covered. Be prepared to feel the difference of the active ingredients working to help you through the aging process. To learn more about or purchase Dr. Nassif’s beauty products, visit the HSN site.